‘Tis the season for gratitude, giving, and reflection. As we approach the end of the year, it’s important that we turn our focus inward and consider how we’ve been impacted by those around us over the past 12 months. Reflect on the relationships that enhanced your year and, well, life! Our friends and family play important roles in our day-to-day routine. So, why not celebrate them? Even better, give them a gift that will enhance their life and overall wellness. A gift that will allow them to slow down, focus inward, and appreciate this busy time of year. 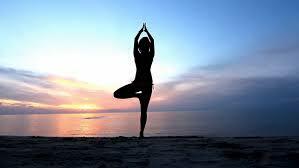 Yoga is a form of exercise that puts you in tune with your body and your breathing. Let’s face it - we could all slow down and focus on our breathing just a bit more. There are many different forms of yoga practice too! Some classes move more quickly through poses, some are heated, and some focus on holding a stretch for minutes at a time. Assess what form of yoga your loved one would be most akin to and then have at it. Sites like Groupon or Class Pass make it easy to gift a set of yoga classes for an affordable price. You could even buy yourself a set of classes to join them! Pilates, like yoga, deals with breathwork but is more core-focused. I love incorporating Pilates in my rehabilitation sessions! Pilates was started in the 1900’s and used as a strengthening program for clients ranging from elite level dancers to those bound to a hospital bed. Pilates focuses on the body as a whole and deals with specific choreography to create alignment and balance. An instructor will guide you either through a mat class, reformer class, or private session. If you feel like someone you know would benefit from controlled yet challenging stability training, then consider this form of exercise for you or the one you love. Traditionally considered a form of Eastern medicine, acupuncture has multiple health benefits. If any of your loved ones are stressed, overworked, or having any other health issues, acupuncture can be a great addition to their wellness routine. This treatment can assist in body detoxification which can be especially necessary after the holidays. Acupuncture is also used for pain relief. As we transition into winter, the cold weather can leave some of us with joint pain. Acupuncture can do wonders for joint circulation! Some people may find a gift for the home to be more meaningful. A house plant is a nice idea to bring life and oxygen into a room. They can be useful in purifying the air we breathe. Another trendy gift is an essential oil diffuser. These little gadgets will fill your space with relaxing, energizing, or mood elevating scents! They’re also super easy to use and fit easily into small spaces. Lastly, a wellness book might be a good idea for a book worm. This type of book can empower someone to make positive shifts in their life. Whatever you choose to give to those in your circle (or yourself!) this season, give with intention and love. Happy holidays!